Flowers can enhance the curb appeal of your home, but keeping those blooms beautiful all year long requires expert-level gardening skills, right? Wrong! Even a beginner can lay out a blueprint to extend a glorious landscape well into the fall. All it takes is a little planning. Each of your favorite garden varieties has an ideal time of year to be planted. Some plants thrive in cold temps while others crave the sun's rays to grow. But the key to a flourishing garden is knowing exactly which season to put those seeds or bulbs in the ground. "It is important to do a little research and put in a good mix of plants with different bloom times,” says Nathan Zondag, production director at J.W. Jung Seed Co. in Randolph, WI. So while you’re enjoying the lazy, hazy days of summer, take time to plant a few fall bloomers to keep the party going when the weather starts to cool. 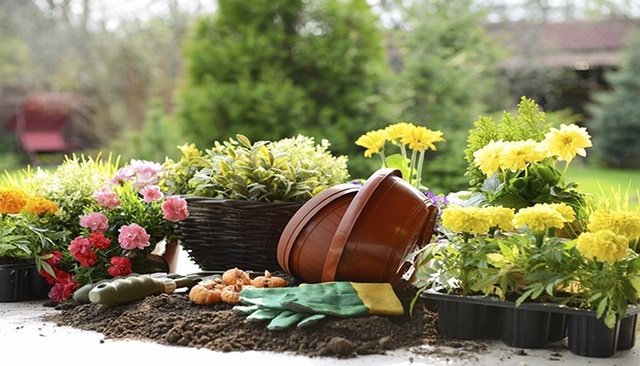 Because growing seasons and conditions can vary for different regions and varieties of flowers, it’s a good idea to confirm the bloom times at your local garden center or with your green-thumbed neighbors. To help you map out a planting plan for the year, the guide below highlights popular flowers and the seasons in ehivh they should be cultivated. You may think of fall as a time of harvest, but it’s also a time to plant future blooms. “Many do not realize that fall is a great time to plant bulbs and perennials,” says Zondag. 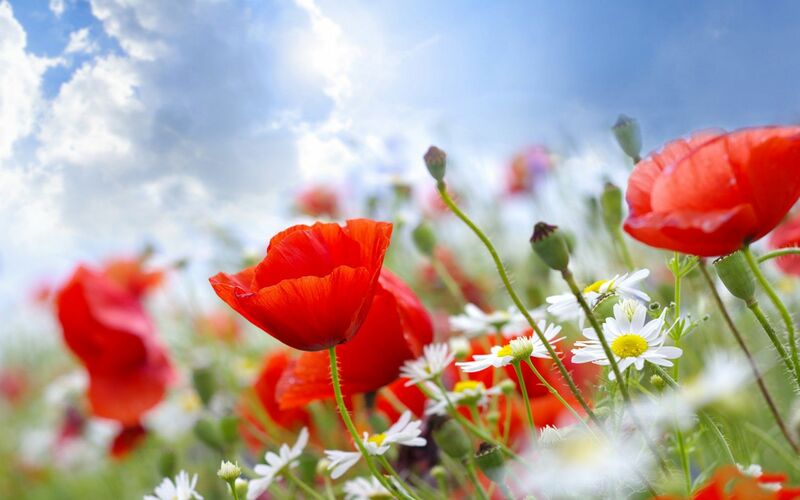 These popular flowers should be planted in fall to produce beautiful spring and summer blooms. If time got away from you and those bulbs didn’t get planted, don't despair. Even in a northern climate, bulbs can be planted in winter if you can dig past the frozen top layer of soil, Zondag says. After the first of the year, start thinking about starting seeds indoors. “In late winter [or] early spring, there are a large number of vegetable seeds and flower bulbs that do well being started inside and transferred outside when the temperature permits,” he says. 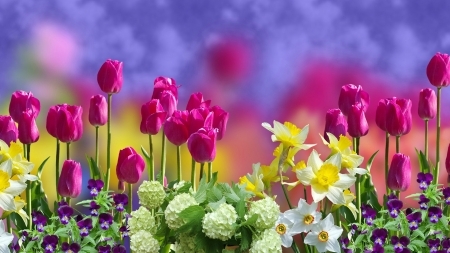 Everyone knows spring is the prime time to fill your garden with all types of blooms. 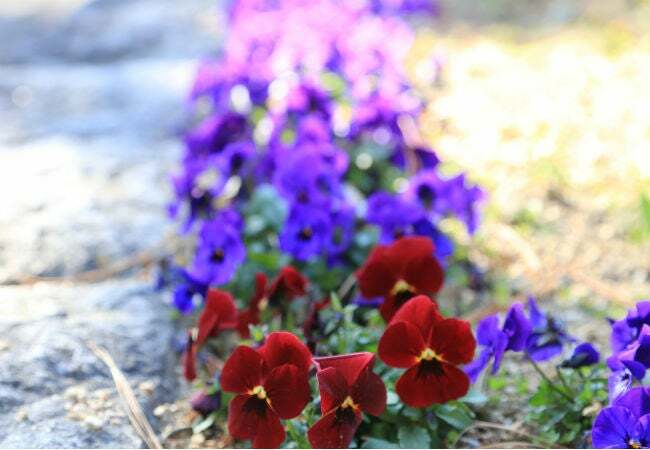 Garden flowers fall under two main categories: perennial and annuals. As a rule, perennials bloom for a shorter time, but the plant returns year after year to bloom again. Annuals, on the other hand, will bloom continually throughout the year, but once the season is over, they die and won't return. Since both types have their appeal, many home gardens include both. There are also several varieties of bulbs that can be planted in spring for blooms later on. Many bulbs will return year after year, while others—especially some varieties of tulips—may return for only two to three years. Consult your local gardening center for information on specific bulbs.